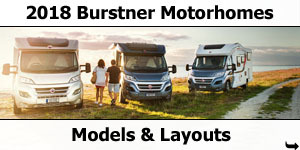 Southdowns Motorhome Centre are pleased to announce the arrival of the 2010 season Burstner motorhomes. 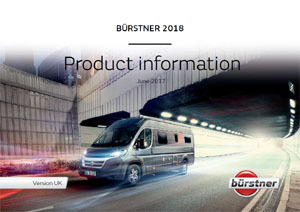 Burstner are one of Europe's most successful motorhome companies because they continue to build good quality vehicles that meet changing customer requirements at a fair price. 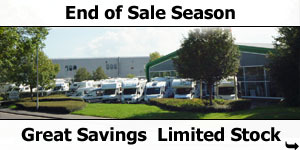 With this seasons model line-up looking good, 2010 promises to be just as successful as as they have been in the past. 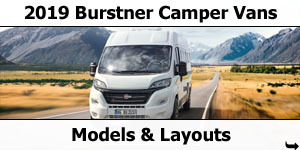 The Burstner motorhomes offer 11 model ranges with a total of 44 different models. We should hopefully be able to help you find what you want! Here we talk you through some of the 2010 season developments. (Oh, and we apologies if it reads like it was written by someone whose first language isn't English, but it was written by someone whose first language isn't English). After a successful start in the now ending 2009 season, the City Car series is extended by an additional version. 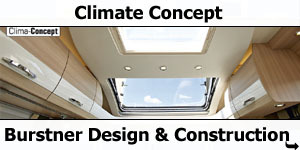 An elevating roof increases the living comfort of the almost 5 m long C 500 and offers there two additional berths. The lower bed is 200 times 135 cm and the upper bed comes to 200 times 150 cm. The modular design principle of the C 500 allows an adaptation of the interior according to individual desires, for example the removable kitchen block can be taken out to enjoy cooking in the open air. With the road-folded bed in the rear it can be ideally used as commercial van. In terms of the exterior design, the standard version of the City Car range is white. 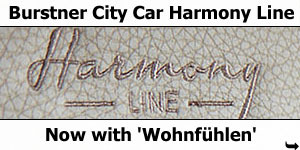 All City Cars are also available in silver and champagne. 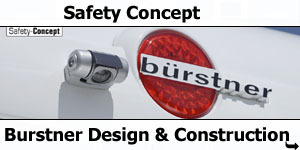 The option list contains also an elegant LED-daytime running light and the awning in black. The compact partly integrated Travel Van remains in the program of the new season with hardly any changes. 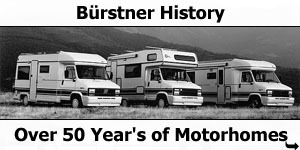 With a new graphic on the outside, this series shows now also clearly the current design of the Burstner product family. The colour schemes in silver and in white are the visual recognition features of the new model year. All versions run on the Fiat Ducato with its wide track rear axle. 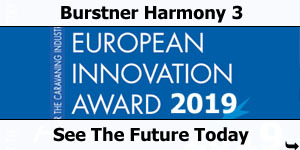 There are two different versions in the program - one with a length of 6.16 and one with 6.60 m.
The Nexxo has been a well-known part of the Burstner program for a long time. 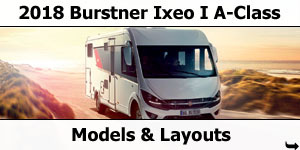 In the new season the attractiveness of this low priced entry level motorhome will increase due to the extended layout variations of this series. From now on, the Nexxo will be exclusively built on the Fiat Ducato basis. With the low frame chassis and the wide track specification of the Fiat, the Nexxo will run well and economically. 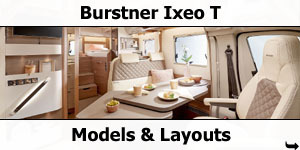 The main difference to the previous Nexxo versions on Ford basis is that the new motorhomes of this series have a high quality interior in a friendly elm décor finish which matches the premium Viseo models. Altogether the Nexxo offers a respectable comfort and good equipment. 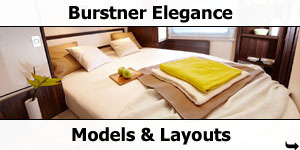 The developers of Burstner could achieve an improved spatial perception due to a new colouring of the kitchen. The light furniture fronts above and below make the room look more spacious and emphasise the sporty design. Optionally all Nexxo versions have now a larger skyroof, the roof light in the front end of the roof, which lets a lot of light in and therefore gives the interior a bright and tidy atmosphere. The customer can choose between the colours white, silver and champagne for the exterior. New is for example the layout of the Nexxo t 580 with a total length of 6.24 m and a French double bed as well as a washroom in the rear with toilet and shower and a spacious seating arrangement in the centre which integrates both driver seats. 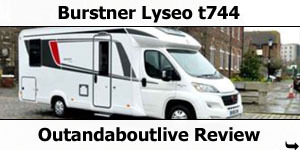 The second extension of the popular series is the t 728 which offers with a length of 7.44 m two single beds in the rear, a comfortable bathroom area with a separate shower as well as an amply dimensioned L-shaped kitchen in the centre of the vehicle and an L-shaped seating arrangement on the driver's side. Additional cupboards make room for a lot of luggage. 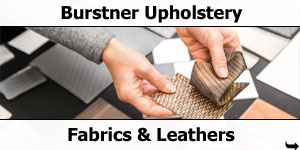 Burstner continues to demonstrate all its expertise when it comes to the partly integrated Solano series. The new form of the body testifies a thorough styling and the new model range can also be recognised by a new graphical exterior design. One novelty is the crosswise fitted skyroof which brings light into the interior during the day and ensures also a pleasant circulation of air. 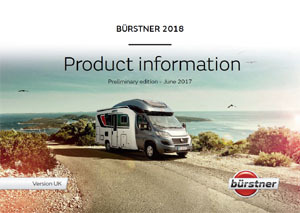 In addition to the standard paintwork in white, Burstner offers the special paintworks silver and champagne for the Solano on request. 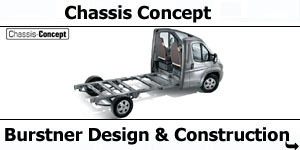 All models run on the Fiat Ducato basis with an AL-KO low frame chassis. The empty weight could be reduced by remarkable 100 kilograms due to an optimisation of the weight. At the same time, the maximum towing weight is 2,000 kilograms. These are excellent conditions for trailers and even a compact SUV can therefore be drawn on a trailer. The interior impresses with the delicate walnut Merano décor and table tops with real wood veneer. The Design Package with door sills, attachments for the cappuccino and the rear as well as the Hartal Premium security door and a special paintwork in champagne and in silver add again to the high quality of the Solano. Optionally an Alde heating is planned for the versions Solano t 615 and t 728. 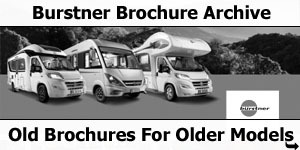 Again and again there was a call for a motorhome on the basis of the Mercedes Sprinter in the past years. he Aero Van is designed for a maximum permissible weight of 3,500 kilograms (when travelling with 4 persons). Optionally the increase of the maximum permissible weight to 3,850 kilograms is possible. Inside, the furniture in a walnut Merano décor with bronze coloured applications and the flooring in tile optic flatter the senses. 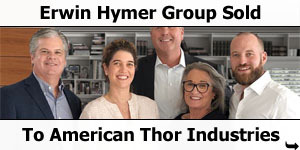 The equipment is upper class standard. The Aero Van t 700 has a French double bed as well as a washroom in the rear and an L-shaped kitchen with an adjacent dinette in the front. Its total length is 6.99 m, the width is 2.30 m and the height is 2.70 m. On the inside, there is a headroom of 195 cm and a bed size of 196 times 143 cm. The basic engine version of the Aero Van is the 313 CDI engine with 129 HP. The Ixeo with its innovative interior design concept and the drop-down bed in the living area has had a large circle of friends directly from the beginning. 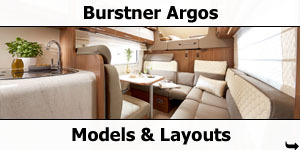 A partly integrated motorhome with such a variable interior design and an accommodation capacity which has more than doubled - that was something completely new to the world of motorhomes. The new Ixeo has now got a whole range of improvements for the coming season. 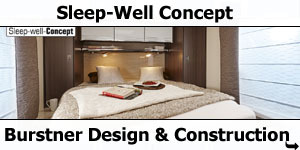 There is now additional light underneath the drop-down bed which increases the living quality. 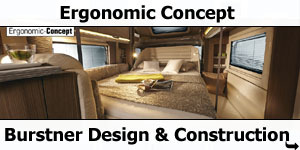 A locking device on both sides of the drop-down bed makes the construction more solid so that even on bad roads the bed is safely stowed away. Unlocking the device is very easy at the push of a button. 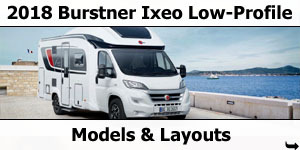 New storage compartments underneath the drop-down bed improve the storage capacity and a new layout extends the offer of the Ixeo to a total of five versions. The Fiat low frame chassis with wide track specification is to be used. The new layout will be combined with the AL-KO chassis. This is the Ixeo it 726 G with a rear garage and single beds in the rear which are arranged longitudinal. It has also got a washroom and a kitchen in the centre of the vehicle as well as a spacious Lshaped seating arrangement in the front. The success of the Ixeo series has called for an increased use in this segment. 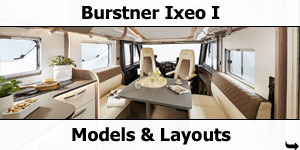 At Burstner the Ixeo Plus celebrates its premiere. A modified, sporty-elegant exterior design with aerodynamic spoiler at the cappuccino and attachments at the rear define its exterior dynamically and self-confidently. 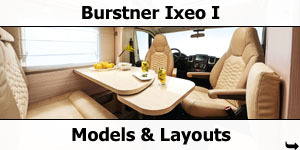 With its high quality furniture in walnut Merano décor the Ixeo Plus is geared towards campers who want a bit more. The standard version comes therefore amongst other things with a drop-down bed which can be lowered and lifted electrically. 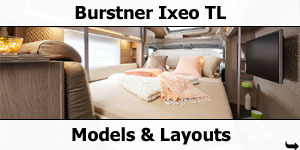 In addition to the current Ixeo program the Plus series gets the new layout versions it 724 and it 726 G. The smaller model features the more and more popular Queen's bed in the rear which is easily accessible from both sides as it is free-standing. The centre of the vehicle is reserved for hygiene and bathing pleasure. The comfortable bathing area with a separate shower characterises the model Ixeo Plus it 724. Naturally, all other models of this series have also got separate showers. Adjacent in the front is an L-shaped kitchen and an equally formed seating arrangement. The rear of the Ixeo it 726 G is dominated by single beds above the standard garage. A spacious washroom as well as an L-shaped kitchen and an L-shaped seating arrangement furnish the front part of the living area. The integrated Viseo series which was launched last year, has met the taste of many customers. 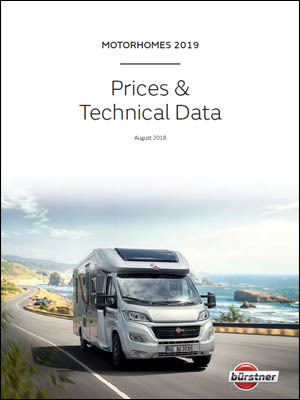 With low prices, extensive equipment and an above average spaciousness, the Viseo is the ideal entry level model to the segment of the integrated motorhomes which is often called the “Champions League” of motorhomes. It starts into the new season with an almost unchanged design. One highlight is the ComfortMatic bed in the Viseo i 726 (optionally) which is electronically adjustable. 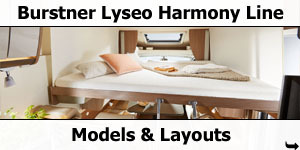 Height adjustable pilot seats (for the driver), cold foam mattresses in the drop-down beds as well as a spacious L-shaped seating arrangement feature all Viseo models. 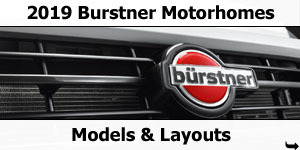 With seven different layouts, it is the most extensive model range of one series from Burstner. 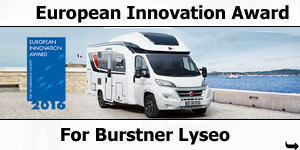 Three versions are new: the Viseo i 640 (single beds in the rear above the garage), the i 676 (bunk beds in the rear) and the i 726 with a Queen's bed and a spacious sanitary area in the form of a comfortable bathroom area in the rear. 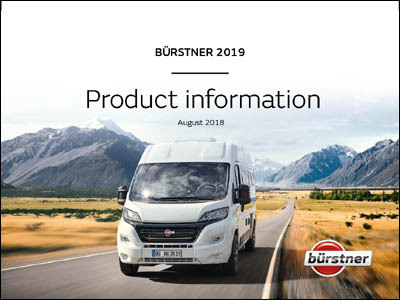 Originally it was positioned as an entry level model to the integrated motorhome segment but due to a thorough and extensive model upgrading it has left its initial positioning: the Burstner Aviano has been developed further. For the new season it shows once again numerous improvements like the high quality Hartal door which is now standard, the height adjustable pilot seats for the driver as well as the optional Alde heating. The standard version of this series comes always with spacious L-shaped seating arrangements. The conversion of the complete series to the AL-KO chassis has lead to a reduction of weight of about 100 kilograms. Three new layouts complete the Aviano program. New is the Aviano i 694 G with a crosswise installed double bed above the rear garage. The highest living comfort is also offered by the Aviano i 728 G with single beds in the rear and a rear garage. 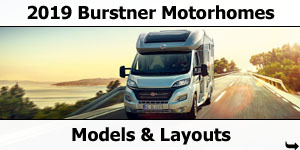 The name says it all: The top model of the motorhome series, the Burstner Elegance, has been completely redesigned for the new model year and advances with its formal and technical perfection further towards the luxury segment. Its appearance is based on the design of a luxury van. The contrasting colour of the window area gives the Elegance a sporty and elegant look and makes it a motorhome of the upper class. New are the double floors for all 3 axle layouts. 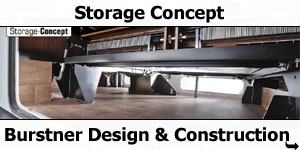 The storage capacity rises here to the highest dimensions. For those who appreciate the compliance with the limit of 3.5 tons, the 2 axle versions of the Elegance series are the ideal choice. The AL-KO elevated frame chassis has been used for all of the 2 axle versions as it helps to reduce the weight by about 100 kilograms. Newly formed electric mirrors top off harmoniously the dynamic colouring of the Elegance. The windows with aluminium frames polish the body visually. The standard version comes with a paintwork in champagne, the Hartal Premium security door, the electric drop-down bed and cold foam mattresses. The dark furniture doors in a bog oak finish are set off in bronze and represent a harmonious unit with the two-tone formed kitchen which also contains a Dometic refrigerator with 150 litres with a bronze coloured door. 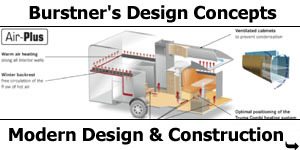 A heat exchanger in the living area and the height adjustable seats for driver and passenger complete the offer. 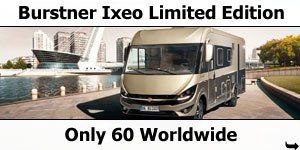 The Elegance is available in six layout versions: the i 705, i 726 G, i 729 G, i 730, i 810 G und i 821 G are 7.1 to 9.2 metres long and offer four to six berths.